Dear Dr. Gordon and staff,Just wanted to take a moment and thank you guys for the terrific care I receive at Professional Hearing Center. Several years ago, I began to notice that I was having difficulty hearing- not just sounds, but conversations sounded muddled. As a professional whose job it is to listen to people throughout the day, I knew I needed to investigate and get to the bottom of this. I got Dr. Gordon’s name from my family doctor who I trust implicitly. As I arrived for my first appointment, I was mentally prepared for the possibility I would need an assisted hearing device (as you can see, I hate the word- hearing aid). 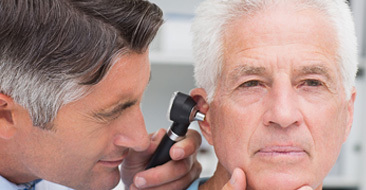 Imagine my surprise after my initial hearing evaluation, when Dr. Gordon informed me I had moderate hearing loss in my left ear and mild to moderate loss in my right ear. Her recommendation was to invest in two hearing devices. I left her office committed to investing in one device for my left ear. I remember going to my car and feeling very overwhelmed with this. Was I getting that old?When I went back for my fitting, I decided to hold off getting a hearing aid for my right ear. Knowing myself, I thought it would be too much for me to get used to two devices at once to say nothing of accepting emotionally my need for such things. To Dr. Gordon’s credit, she never pushed me- she gently urged me but I felt my hearing was “good enough.”Fast forward to this past March- luckily my hearing loss has remained steady, no significant changes. Fortunately, I was able to invest in brand new hearing devices for both ears. As I was already used to wearing my hearing device, I adjusted quickly. Sound is a beautiful thing. You don’t know how much you compensate when your hearing is off. I no longer need to do that. I am faithful to my checkups to ensure that everything is as it should be. Dr. Gordon is knowledgeable and understanding. Her staff is pleasant and also very knowledgeable, anything I need, batteries, cleaner, etc. is right there. I have no issues whatsoever with my devices. I am comfortable at the movies, in restaurants, and in rooms full of people. If you are looking for quality, compassionate care, I would definitely recommend Professional Hearing Center. You won’t be disappointed. Dear Dr. Gordon,I can describe my hearing loss with the following example. I watched a foreign movie that was dubbed in English, only I didn’t know it was until I was told as much after the movie ended. I thought the entire movie was in a foreign language. I relied a lot on lip reading, which clearly did not help in that situation. Fortunately, after receiving hearing aids from Dr. Gordon, I don’t have to rely on lip reading.My hearing aids have benefitted me in many ways. They have allowed me to maintain a successful career and family life. Prior to wearing hearing aids, people would think that I was not paying attention to them. Hearing aids have minimized those situations and have alleviated the frustration of not being able to have a conversation.I also hear many sounds that I hadn’t heard in many years, such as birds chirping, alarms sounding, and water splashing. I can even hear cell phone ringtones — some are quite annoying! Thank you for providing me with the ideal aid for my needs. 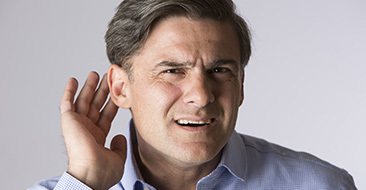 Hearing is such an integral part of our existence — speech sounds, good sounds, bad sounds — noise!When I was 40 years old, I had to admit I was experiencing a hearing loss. Attending a lecture, I realized I wasn’t hearing the speech. I made an appointment with an ear doctor. He recommended that I see this specialist at a New York hospital. After two failed surgeries to mobilize the stapes in my middle ear, I had no alternative but to wear a hearing aid if I was to function normally in the world full of sound. I hated it. I hid the fact that I was hearing impaired: it seems there was always a stigma about deafness. Rude people would say “What’s the matter, are you deaf?”I wore one instrument behind my ear, hidden by my hair. I was often frustrated and uncomfortable, and it whistled. My sensitive right ear often needed adjustment by my audiologist. But at least I could function almost normally in the world of sound. I could hear my grandchildren say, “I love you, Nana.” I could enjoy music, the TV, the theater, conversing on the telephone — all such precious sounds. I could pursue my beloved teaching career. No one knew my secret.With aging, my hearing gradually got worse. I graduated to two hearing aids. The hearing aids then got progressively bigger, with a larger battery. Twelve years ago, I was recommended to Dr. Jill Gordon. I found her to be a very knowledgeable and efficient audiologist, and I trusted her expertise. The whole office atmosphere was warm and friendly, and they had the most up-to-date equipment. I realize I am a difficult patient with a serious condition. Every four years, I was fitted with a new set of hearing aids.Now, in my senior years, my hearing is completely gone. I live in a silent world without my hearing aids. Even with my hearing aids, I began to miss more and more. I had to blast the TV. I couldn’t enjoy the movies or the theater. I avoided the telephone. It was time again for a set of new aids.With today’s ever-changing advanced technology, Jill ordered a new pair of hearing aids for me: oh, how could this work? They were so very small. Jill programmed them through a computer. A trial period took just a few adjustments.Now I’m hearing better than I have in ages. I even had to lower the volume on my TV. I hardly feel I am wearing something behind my ears. When I insert my aids, a three-note melody awakens my world. I smile and my heart sings when the “little man” inside my aid says “battery.” I rush to replace the batteries before he repeats “battery” once more.It is an amazing, incredible, wonder. My silent world is no more! You are a winner! You serviced an 87-year-old lady and gave me back life. I can hear! I am alert, happy, hear well over the phone, and can, once again, enjoy life.I took over as VP of our Hadassah chapter after four years of being president and then retired because I could not hear. I now attend operas, meetings, movies, plays, and play a lot of cards and mah-jongg. But, most of all, I can converse and hear the laughter of my seven grandchildren and 10 great-grandchildren. What a wonderful world!My children took me to your office while I spend the summer in New Jersey with them. You and your staff were so patient and efficient and are always there for my needs. My friends in Florida all want these magical hearing aids and you. I am so grateful to my children for taking me to your office. God bless you. Dear Dr. Gordon,I wanted to write this letter a long time ago, but I always thought I did not have enough English knowledge to write a good letter. Thanks for the letter you sent me encouraging me to write about how the hearing aids you have fitted me with have impacted my life.I lost my hearing more than 10 years ago. At first, I was very depressed and did not want to go anywhere. Even at home, I did not want to talk anymore. My family talked to me only with a notepad. It was hard to have a conversation. I stopped using my home phone and cell phone. Never mind about parties, and even going to church was a hardship for me. I tried a few other places for hearing aids, but they did not help much. Either they were too noisy or not clean; I couldn’t hear well.Since I got these new hearing aids five years ago, I hear much better. I wear them 12–14 hours daily. I can talk with my friends on the phone and go to parties and church gatherings, and people don’t have to yell at me to get my attention. My life is almost normal.Even though my hearing is not as perfect as before I lost it, at least I can function as a normal 80-year-old lady. Thank you very much. Dr. Jill Gordon, I love you! I would like to express how happy I am with the new hearing aids that you recommended. What a difference it is to be able to have a conversation without constantly saying “What?” Now, I am an active participant in any conversation.I would also like to thank you for taking the time to address any problems or concerns I had regarding switching to the new hearing aids. Your warmth, coupled with your informative manner, made me feel very comfortable.Your office staff is very friendly and helpful. It is always a pleasure to visit your office.Thank you so much. I have been severely hearing impaired all my life. I struggled immensely as a small child due to the hearing aids that were available at that time. As I am sure you are aware, they were the large ones that wrapped around the entire ear. I grew up being bullied and teased thus causing me to remove them as often as I could, without my mother noticing. Due to the constant teasing, I completely removed them and never wore them again, once I became a teenager. I decided it was easier to not hear than to not fit in. I spent 30 years constantly struggling to hear. My quality of life was lacking due to the emotional scars I carried. I found myself asking people to repeat themselves, or not getting the joke everyone else laughed at simply because I could not hear it. My daughter’s voice was the loudest in the class because she assumed all Dad’s needed their daughters to speak up. When she was a toddler just learning to speak she would look up at me and say “telephone”, to let me know the phone was ringing. One night while driving home I came upon a police check point. The officer asked me how I was doing and where I was going. My response was I doing good and going home. He asked me to step out of the care and questioned if I was drinking. I had to explain to him that I was hearing impaired therefore my speech was impaired. I am sure you can imagine how embarrassing this was for me. In my late 30’s my wife encouraged me to learn about the new technologies developed for hearing aids. I found Jill Gordon, who fitted me with the small digital hearing aids that fit inside my ears. She was knowledgeable and understood my apprehension. When I left her office I was amazed by the sounds I was missing for so long. I could actually hear the birds chirping and the cars passing by. When I got into my car and started it up, the radio was so loud that I jumped. I was absolutely amazed at all the sounds around me. When I got home and turned on the television, I was actually frightened at how loud it was and the thought of how long I had suffered without my hearing. Thank you, Jill and all of the staff at the Professional Hearing Center. I have been a patient with them for over 10 years and have received 3 upgrades so far, each one opening my world more and more. My last pair is so advanced that they actually talk to you when the battery is low. You can imagine my surprise that while I was driving, a voice from nowhere said “Battery” in my ear. I thought someone was in the car with me. I guess Jill forgot to tell me about that one. without straining to hear anymore. I hear the birds chirping, buzzers beeping, and my kitty cats’ high pitched “mews”… I no longer say “pardon me” multiple times or have to put on a convincing ruse. Efficient office help, friendly service, and the best – free batteries… Dr. Gordon, I just want to thank you for helping me distinguish between the words “please” and “bees”. I was at home in the kitchen having breakfast with my three children – the youngest of which was less than a year old. All of a sudden, the older two children were yelling, excitedly. My oldest daughter was clapping. My son, the baby, had a big toothless smile on his face. I looked at them all, dumbfounded, and asked what all the excitement was about. My son had just called me “Mama” for the first time, but I did not hear it. I could not hear it. We tried to get him to say it again, but he did not. I missed it – the moment was gone forever. It sounds so silly now. The defeat I felt when Dr. Jill Gordon first told me I needed hearing aids. I remember crying like a baby in front of her, embarrassed that I was so emotional at having to wear hearing aids for my hearing loss. She gave me a minute to feel sorry for myself and comforted me, letting me know that I was okay to feel that way. But once I could hear better, I would never feel that way again. She was right! I was fitted for a hearing aid for my right ear, but could not wear one in my left because of my condition. About a year and a half later, I remember my son looking at my right ear and saying, “Oh Mommy, you have a bubble in your ear! I want one too!” (That bubble was the pull-tab on my hearing aid). My hearing aids have kept me from missing those moments with my family that only come once in a lifetime. Jill Gordon understands that – and that is what fuels her passion! I have been fitted for hearing aids – in both ears, now – by Jill Gordon and her staff, for sixteen years, and would go nowhere else. They understand my lifestyle, my hearing needs, my concerns, and my condition. The team at Professional Hearing Center treats me like family! The saying “you do not appreciate something until you lose it” applies to hearing loss. Most people grow up with perfect hearing and pay very little attention to the miracle of hearing. I was one of those people. Then, I saw my mother lose her hearing. She fought it as most of us do. She refused a hearing aid because she did not want to appear old. What my mother did not know was that her children and grandchildren stopped calling her because they could not deal with the constant request for repetition. I swore that this would not happen to me.Hearing was vital to my occupation. I stood in front of a classroom and had to answer questions. As I found myself having to walk up the aisle to really hear the question a student was asking, I thought that there had to be a better way. Naturally, I blamed the marbled mouth students. What was wrong with high school education that these students came to college and could not speak clearly? It was a weight loss regiment because I found myself running up the aisles and back to the lectern. Hopefully I could find the place I left off to continue my lecture. This did not prompt action on my part. I never thought it was the dreaded “hearing problems”.Working at a university has many perks. For me, the best perk was being able to have lunch in the Dining Hall with the faculty and staff. It was an opportunity to meet with the other faculty and have pleasant discourse over a nice meal. Business was also conducted at lunch. Our schedules could be so different; we seized the opportunity to meet formally. The acoustics in the Dining Hall made hearing difficult. It happened suddenly. I could not fully hear the conversation. I filled in the gaps at times but as time went by, I could not fully make sense of what was being said. My reaction was to withdraw from the conversation and smile. My colleagues would ask me for input and I would give vague responses. I began to feel that I could not wait for lunch to be over. The critical moment came quite unexpectedly. Sitting next to a close friend and colleague at a lunch meeting, the speaker at the moment asked me something. I could not make out what she was saying and I replied yes, smiled and shook my head. My friend whispered in my ear, “You did not hear a single word she was saying.” I had agreed to serve on a dreaded committee. When she explained what I agreed to, I quickly stated that I was only kidding and I backed out of the committee.I realized that I needed help. I did some research and found some studies that linked dementia to hearing loss. Still I was blocked. Then I saw a segment on the Today show about hearing loss. Matt Lauer was being screened. This is how I learned about audiologists who belong to an Audigy Group. The group in New York City who was on the Today show referred me to Dr. Jill Gordon. Fitted for my hearing aids, I stepped into a new world. I could banter back and forth with my colleagues. They love my stories and laugh out loud at my jokes. Yes, indeed, I was back. I was not the shrinking violet I was becoming. Life was good. Going out to restaurants were also great. I did not have to ask anyone what was being said. Actually, hearing loss creates more than a hearing loss. It creates a social loss. You begin to lose your sense of self and most of all your self-confidence. Those pearls of wisdom do not come forward from your lips. People begin ignoring you because you do not really know what is being said. They move on and you retreat.My experience at Professional Hearing Center has been positive. Everyone is helpful and knowledgeable. The professional and friendly manner during my appointments made me feel at ease throughout the process. Most of all, I know that they are Audigy Certified, which tells me that they keep up with the latest innovations and attend updates of the new technology. I know I am in the right place.I am so happy because of those two little instruments that make me part of this beautiful world. The decision to follow through with the hearing aids was one of the best things I did for myself. “Excuse me?” “What?” “Sorry, could you say that again?”These phrases have recently left my vocabulary. I almost miss them… I used them every day for years. That, and pretending to understand what people were saying, got me through the day. I actually became pretty good at reading facial expressions. And I learned to recognize the reactions of others so I knew if I should laugh, smile, or frown, even though I didn’t know all of the words people were saying.I know that part of my problem is my multi-tasking habit… at any given time, I am thinking of a million things I need to do, and require a second or two to stop and focus when someone begins to speak to me. It seems that many people are thinking that I am always waiting with baited breath to hear what they have to say!When I arrived at Professional Hearing Center a few years ago, I already had a very small in-the-canal hearing aid for one ear. For a few years, I had taken my father to another hearing center further away for regular testing and hearing aid checks. During the last few months at the first place, I had myself tested and purchased a hearing aid to help me in my daily hearing. For several years before, I had what I referred to as a “bad ear”. After getting that first older hearing aid from the first group, it was frustrating… the one hearing aid made my “bad” ear my good ear, and my “good” ear my bad ear. It was an eerie experience, but I put up with it, only using it when I thought I really needed it.Eventually we changed to Professional Hearing Center because of its closer location. After bringing Dad there for a while, I decided to be tested myself and check out the accuracy of my older hearing aid. I didn’t replace it until it was no longer working, and I was forced into a decision. Even then I waited for many months to try a new one. Everyone at Professional Hearing Center was extremely helpful. Gina and Debbie are always friendly, informative, understanding and professional. They lead me through the process of going through interest-free-for-a-year payment program so that I could afford the aid(s).Dr. Gordon had mentioned several times that one hears better with two ears than with one, and that a person needs to wear their hearing aids all the time to train their brain for better hearing. Initially, due to the cost, I only purchased one new hearing aid for y “bad” ear to help me in hearing, and used it only when I went out and needed to hear people. I discovered that, with the new over-the-ear hearing aid, it was less noticeable, easier to put in, and had a less blocked feeling than my in-the-canal hearing aid. With my son’s upcoming wedding on May 23rd of this year, I was thinking of purchasing a hearing aid for my second, “good” ear. As I had misplaced my first hearing aid, I decided to purchase the “good” ear hearing aid so that I would have one ear that could hear better. I ordered that second one, and, after I received it, I found the first hearing aid and used them both. Because of this, I discovered the joy of better hearing again, and, Dr. Gordon was right… having both ears with better hearing is the overall experience that one needs to mimic the hearing world that I used to know.Misplacing my first hearing aid became the catalyst that forced me to have two hearing aids. That proved to be the experience that gave me the best hearing for my son’s wedding and related activities. I am extremely grateful to everyone at the Professional Hearing Center for all they have done, and look forward to my hearing future. Dear Dr. Gordon,The service that you provided and empathy that you’ve shown for someone like me, with my reservations, has made a profound difference in my life. You’ve helped to restore one of my senses, and as a result, I am able to enjoy life more fully and relish moments more completely than I have been able to in a long, long time. I thank you for your sensitivity, for your professionalism, and for providing me with the means to hear the laughter and the joy that will accompany the birth of my first grandchild in the coming months. Dear Dr. Gordon,Thank you for helping my little girl hear. Her hearing aid has made her so confident it is amazing the difference in her life. I will never forget the help you gave her when no one else could. Dear Dr. Gordon,I am very pleased with Professional Hearing Center with their service, kindness, understanding and professionalism that they offer their clients, but mostly with you Jill for addressing my hearing needs quickly and professionally.